At Larsen Jewellery, we pride ourselves on the high quality of our custom made wedding rings, and on the personal service provided by our award winning jewellers. Having your wedding rings custom made means that you are able to choose any design – from classic wedding bands to unique wedding ring designs – either made to match your engagement ring or to make a statement on its own. 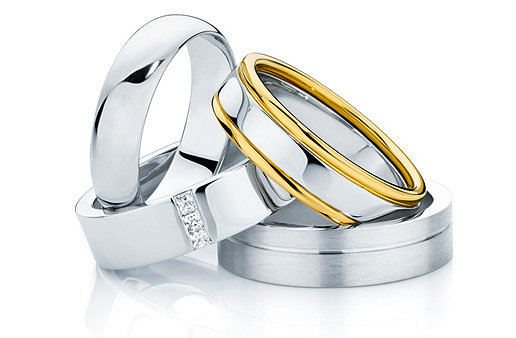 The wedding rings shown in our picture gallery can all be made in your choice of metal, including White Gold, Yellow Gold and Platinum for both men and women. To help you choose a design, we have a wide range of wedding rings on display that you can try on to get an idea of what style suits your hand. You can choose one of our many beautiful designs or you can create your own unique design with the assistance of one of our friendly jewellers. 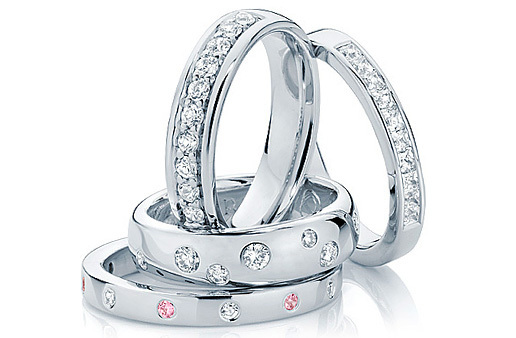 We also have a wide range of diamonds and coloured gemstones that can be incorporated into your wedding ring design. You are very welcome to come in to our studio for an obligation-free design appointment where you can try on our range of display rings and discuss your design preferences with one of our jewellers. For any price enquiries, please have a look at our wedding ring prices page or give us a call for a quote. In addition to our ‘made to order’ service, we also offer the unique and romantic experience of making each other’s wedding rings under the guidance of a jeweller. Read more about the Wedding Ring Experience.